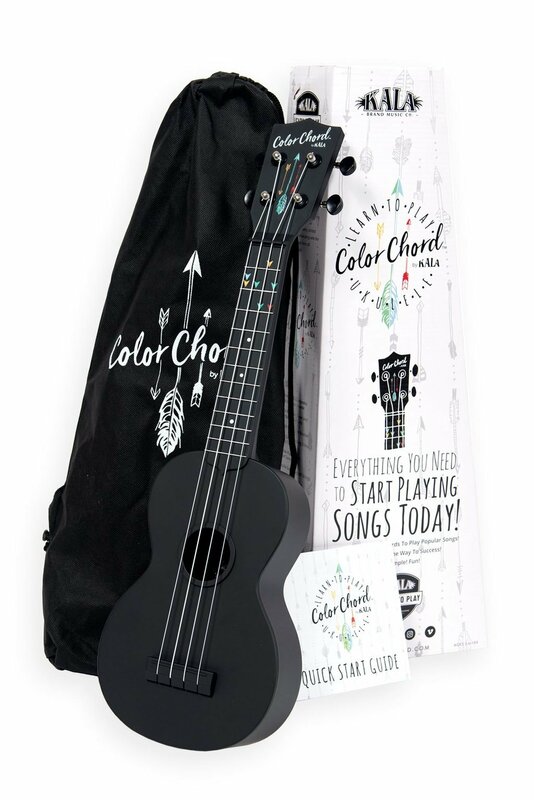 Kala’s Color Chord Ukulele Starter Kit will have you playing songs right away! You’ll learn 4 Color Chords that will have you playing 100s of songs in no time. There are three ways to learn: you can use the Kala Ukulele app, our online lessons, or the quick start guide included in the pack. Simply follow the arrows to success to start playing songs today. The Kala Ukulele App comes with tutorials and lessons using the 4 Color Chords, a Free tuner, and over 100 Free songs. You can expand your library of chords up to 11 whenever you’re ready for a new challenge. Simple and easy to use, the Kala App includes everything you’ll need to start playing songs on the ukulele today! Use the Kala Ukulele App on your phone, tablet, or computer.